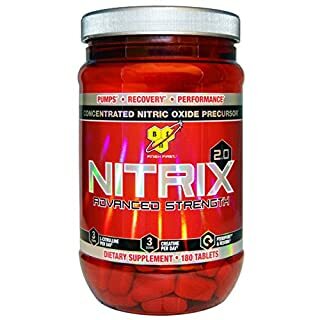 Building on their hugely successful NO Xplode formula, BSN have released an update, introducing new ingredients to the already classic formula used by people the around the world. 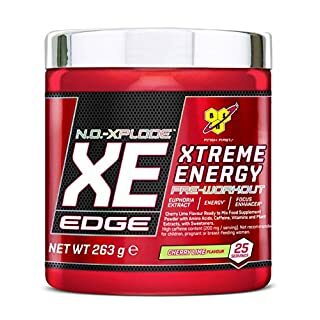 N.O.-XPLODE XETM EDGE is the result of a global search for a unique blend of botanical ingredients that will help deliver an intense pre-workout formula to have you crushing it in the weight room. Ingredients such as caffeine, which contributes to increased alertness and improved concentration, vitamins B1, B6, B12, Niacin and Pantothenic Acid, which contribute to normal energy-yielding metabolism, have been combined with botanicals such as traditional Chinese plant extracts Euphoria longana, Lindera aggregata, and Rhodiola rosea. Get your EDGE with N.O.-XPLODE XE EDGE. TRUE-MASS 1200 TRUE-MASS 1200 is an ultra-premium super mass gainer designed for individuals with high caloric requirements or those who have difficulty adding and maintaining mass. 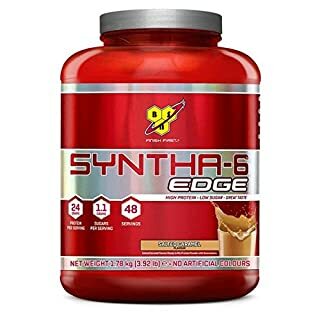 BSN's signature protein formula is paired with a unique complex carbohydrate blend that includes ground whole oats for a convenient source of high-calorie nutrition. 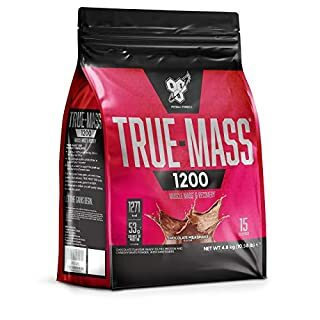 And TRUE-MASS 1200 distinguishes itself with a delicious milkshake-like taste that makes getting those extra calories in a pleasure rather than a chore. For the true hard-gainer or anyone in need of serious caloric support, TRUE-MASS 1200 is the ultimate mass-gaining option. Customize your supplement stack with the all-new BSN DNA Series. Supplementing with creatine monohydrate can help replenish your creatine stores, an ingredient found naturally in foods like red meat. Creatine helps fuel your muscles during periods of high-intensity exercise. 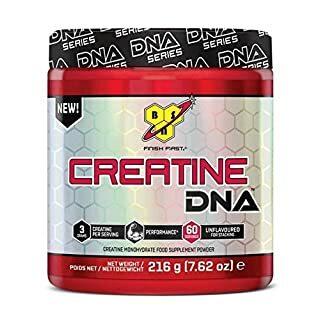 BSN Creatine DNA provides 3 grams of pure micronised creatine per serving. With unflavoured versatility, Creatine DNA may be added to your post-workout shake or favourite beverage. 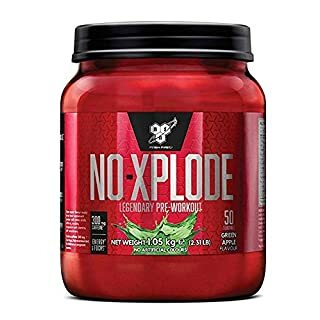 Flavour Name:Green Apple N.O.-XPLODE: Our most powerful all-in-one pre-workout formula Advance Strength Matrix contains Creatine Monohydrate + Beta-Alanine What is it? Want to take your performance to the next level? Then you need to PUSH your body beyond its limits with every workout. N.O.-XPLODE is THE original complete all-in-one pre-workout, reformulated using BSN's cutting-edge nutritional science. Making sure you're prime and ready to push your boundaries every session will transform your potential. 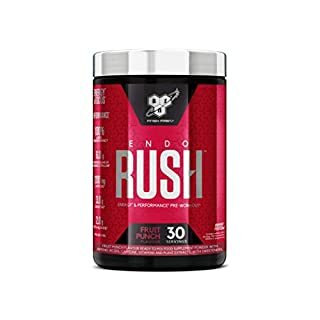 N.O.-XPLODE gives you everything you need to push yourself as far as you can go. And then push further. Every time. Maximise every workout Preparation is vital to get the most out of every workout. Priming your body with premium nutrients pre-training is essential to beat the competition. A pre-training igniter can help you power through a session like never before Focus, Muscular Strength*, and PowerExperience the new strength only known by legends with the advanced Strength N.O.-Xplode 3.0, the extreme pre-training energy and performance enhancer. 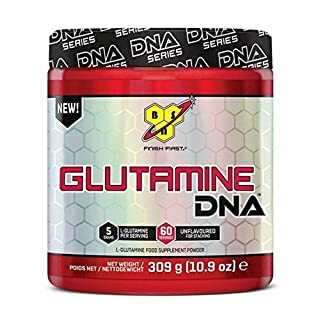 GLUTAMINE DNATM is part of the new DNA series from BSN® - designed to help you customise your results. L-glutamine is the most abundant amino acid in the body. 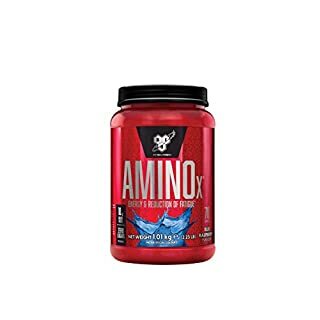 It is a naturally occuring non-essential amino acid - meaning that is it not required from the diet as the body is able to produce it, but levels can become depleted during periods of intense training. We know you like to train hard but continually pushing yourself with high intensity training over a long period of time can put a strain on your body. Getting your nutrition right, including the right balance of amino acids, is vital for athletes to reach their optimum performance potential. Customize your supplement stack with all-new BSN DNA Series. Leucine, isoleucine, valine are commonly grouped together and referred to as branched chain amino acids, or BCAAs. BCAAs are essential, meaning that they must be consumed through the diet. 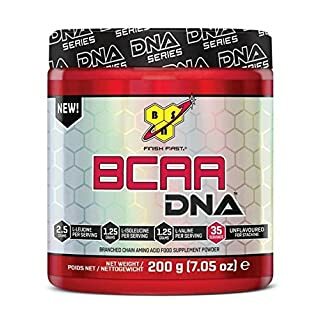 BSN BCAA DNA provides 5g of BCAAs per serving. With unflavoured versatility, BCAA DNA may be added to your post workout shake or favourite beverage. 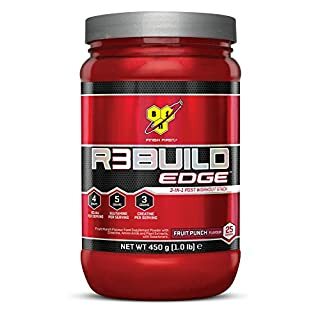 R3build Edge has been designed to help kick start your post-workout recovery. This muscle-building and strength formula contains the 3 gym-tested ingredients you may need after an intense workout in one convenient stack-in-a-bottle. With 5g of Creatine, 5g of Glutamine and 4g of BCAA's, R3build Edge will help you recover today so you can push further tomorrow. 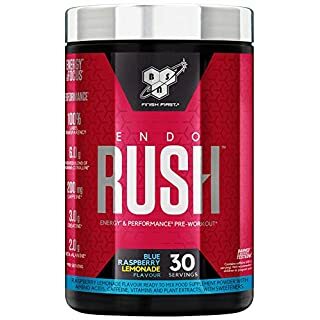 Container Size: 450g Serving Size: 1 scoop (18g) Servings Per Container: 25 Amount Per Serving: Energy: 50 kcal L-Glutamine: 5.0 g BCAAs (L-Leucine, L-Isoleucine, L-Valine): 4.0 g Creatine Monohydrate: 3.4 g Lactoferrin: 50 mg Panax ginseng: 25 mg Ingredients: L-Glutamine, BCAA Blend (L-Leucine, L-Isoleucine, L-Valine), Creatine Monohydrate, Acids (Citric Acid, Malic Acid), Flavourings, Acidity Regulator (Sodium Bicarbonate), Anti-Caking Agents (Silicon Dioxide, Calcium Silicate), Thickener (Guar Gum), Colour (Beetroot Red), Sweeteners (Sucralose, Acesulfame K), Lactoferrin (BioFerrin 2000) [MILK], Panax ginseng Root Extract Please Note: Nutritional facts and ingredients may vary slightly between flavours. Direction For Use:Mix 1 level scoop (18 g) with 150 ml of cold water. Stir, DO NOT SHAKE. Recommended consumption of 1 serving per day. Recovery. Muscle. Endurance. Performance. 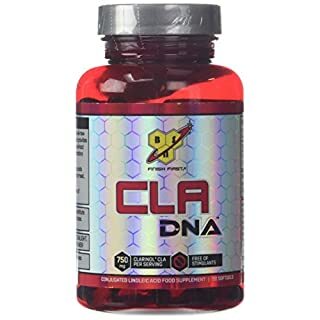 3 grams Glutamine & Glutamic Acid per Day. 5 grams Creatine per Day. 10 grams Amino Acids per Day. Cellmass 2.0 is a state-of-the-art concentrated post-training recovery agent. After an intense training session, muscles are in a state of heightened stress and need to be returned to an anabolic state in order to recover and rebuild the damaged tissue, paving the way for increases in strength and athletic performance. 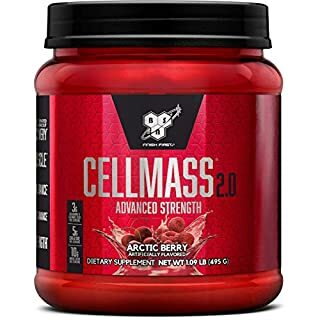 To facilitate this, Cellmass 2.0's completely redesigned formula delivers three forms of creatine as well as glutamine, taurine and hydrolyzed whey protein, designed to replenish fatigued muscles, bring a halt to muscle breakdown and kick-start the recovery process after a workout. Taking Cellmass 2.0 promotes quicker and more efficient recovery, combats muscular fatigue and breakdown, and supports muscle strength, endurance and overall performance. Adequately recovered from an intense training session, athletes are better prepared to excel in the following day's workout. For anyone who wants to ensure that their workouts don't go to waste and their hard-earned muscle isn't compromised, Cellmass 2.0 is where mass and recovery begin. Directions: As a dietary supplement, mix 1 scoop with 4-6 oz. (118-177mL) of cold water or any beverage of your choice twice a day. New! 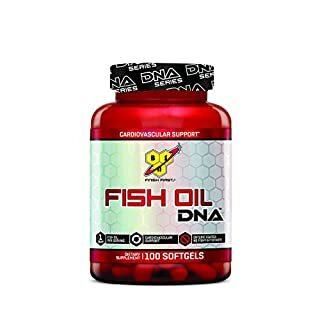 Finish First 1 g Fish Oil Per Serving Enteric Coated - No Fishy Aftertaste Dietary Supplement DNA Series - It's In You Customize your supplement stack with the all-new BSN DNA Series. 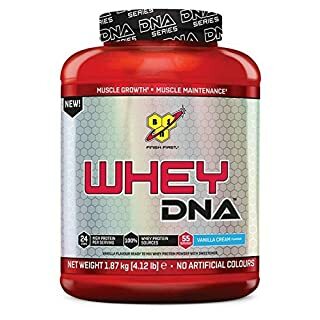 Each DNA Series product provides versatility to be used with other pre/post-workout supplements to create customized combinations that help you achieve your individual fitness goals. 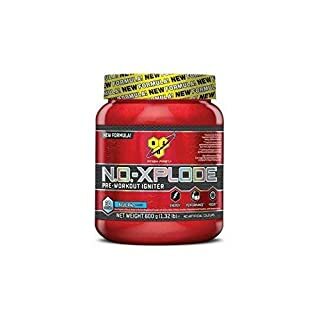 BSN No-Xplode 3.0 No-XplodE 3.0 by BSN Nutrition is a highly concentrated pre-workout for maximum cell volume, focus and tremendous muscle pumping The high rating and the extreme abundance of ingredients, are responsible for the great effect. The BSN No-Xplode was specially developed for the workout (pre-workout). The contained L-Citrulline Malate improves the blood circulation of the musculature, which ensures an optimal supply of oxygen and nutrients. Beta alanine is included in almost all pre-workout and No boosters. Beta alanine combines with the amino acid histidine. Carnosine can be produced from beta alanine and histidine. Carnosine buffers the hydrogen ions. This prevents the pH in the muscle cell from dropping, leading to hyperacidity of the muscle. Taurine is known for its anti-spasmodic properties. Caffeine and tyrosine give you the necessary energy.